Designed for both composition and live, Reason adopts a hardware-oriented philosophy. Indeed, this software emulates a rack of studio instruments and controllable effects whose virtual wiring can be fully configured by the user. It includes a complete quality mixer and among its racks, polyphonic synthesizers, rhythm samplers, equalizers, and a pattern sequencer and many racks of effects. Reason supports recording, editing and mixing an unlimited number of audio and MIDI tracks. It is also compatible with the external plug-ins VST, and Audio Unit under Mac OS. The process of musical composition is made more intuitive thanks to its neat and pleasant interface. 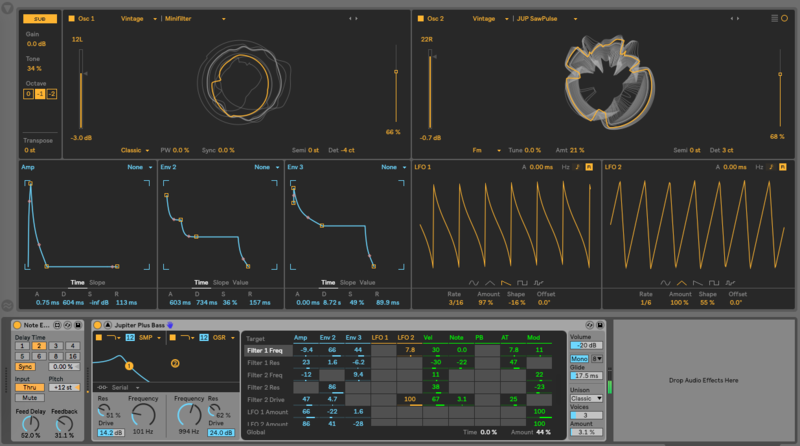 A free 30-day demo version is available to try out all the features of Reason. To definitely adopt it, two versions are available for purchase: a lighter edition features Reason Essentials to 69 Euros or the full version priced at 369 Euros. These amazing features list this software to one of the best audio editing software. Ableton Live is music production software dedicated to live audio composition and arrangement. It has two main interfaces, usable on two monitors, a Session View to manage the clips and organize them in scenes, then the Arrangement screen to record the live scenes and arrange them according to the different effects, parameters, and plugging integrated or external. On this point, VST and Audio Unit standards are supported. In addition, this solution also includes a host of audio effects, modules and virtual instruments. On this last point, note the presence of Drum Rack, Impulse or Simpler to add quality samples. It is also compatible with a large number of MIDI controllers. This sequencer will find its place during rehearsals or concerts thanks to the plethora of features dedicated to living. The free demo version is limited to 30 days trial. For the full version, three editions are available including a number of tracks supported and different plug-ins: Intro to 79 Euros for essential tools, the full version Standard at 349 Euros and an ultimate studio version full of samples and effects at 599 Euros. Cubase is rightly considered as a reference in terms of studio digital audio workstation for semi-professionals and audio professionals. It covers all needs throughout the production process, it can record, compose, edit and mix projects composed of an unlimited number of audio and MIDI tracks. In the features menu, the composition pane offers editors for keyboard and drums as well as a tool dedicated to creating partitions. With its powerful Steinberg Audio-Engine, Cubase ensures the best audio quality and a full surround editing for each track or audio bus. When it comes to mixing, the Mix Console Mixing Virtual Console will delight experienced users with the wealth of options available. The same is true of the VST instruments and virtual effects modules that are built into the software. Cubase is rated as the best audio editing software in US. To meet every need, Cubase is available in several versions: a lighter edition Elements (99 Euros), an Artist version (329 Euros) including many editing tools and finally, the most complete edition Cubase Pro (579 Euros). Available on Windows, Linux, and Mac OS, Bitwig Studio is a music editing software free of cost and a sequencer that could get closer, by its interface and its approach based on the clips, to the inevitable Ableton Live. He is appreciated for his ability to edit, arrange and manage external plug-ins. It supports an unlimited number of audio and MIDI tracks and integrates a host of modulators, effects, and virtual instruments. Bitwig Studio offers a multi-project management and offers the user the opportunity to simultaneously enjoy setting windows and launching clips. An option facilitated with the support of up to three monitors. This solution is a credit to VST plug-ins thanks to a sandbox function that helps to keep the software running smoothly if a plug-in is planted. Note also that Bitwig Studio is available in full version around 380 Euros or in a demo version that makes it impossible to save and export projects. Finally, note that this non-exhaustive selection can be supplemented by very good DAW solutions such as ACID Pro, Pro Tools or Sonar. This was the complete list for one of the best audio editing software. You may try any of them according to the features that suit the most for you. If you have something new to share then you may share your opinions in the comment box. Thank you guys for reading. If you like this tool then do share with friends and family.